This week on The First Run, Matt and Chris discuss director Steve McQueen’s latest, ‘Widows’. The new heist film starring Viola Davis, Michelle Rodriguez, Elizabeth Debicki, and a ton of top talent. McQueen has delivered some stone cold classics with his limited oeuvre. 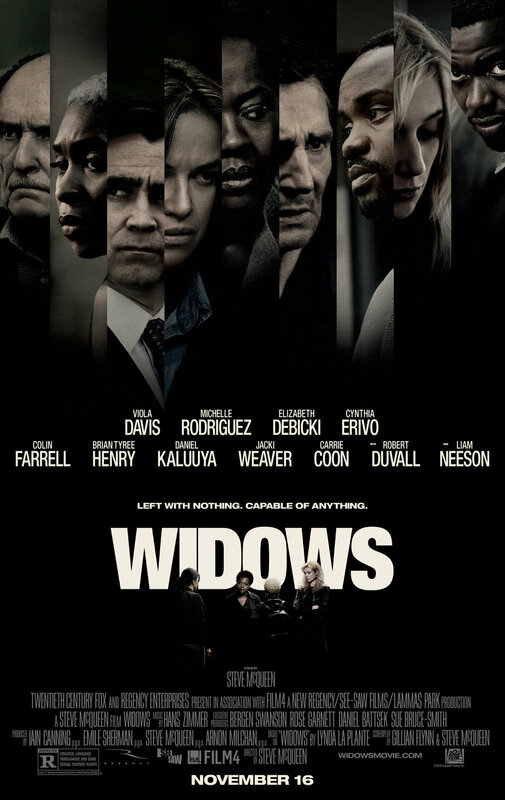 Does ‘Widows’ continue the streak? Then it’s the return of Ralph and Venellope in ‘Ralph Breaks The Internet’. Chris and Matt both loved ‘Wreck It Ralph’. Is the adored original followed up with an equally engaging, possibly better, sequel? There’s the always-reliable rundown of the releases on Blu-Ray and DVD you need to know about, featuring the Streaming and Straight to DVD Picks of the Week. Then the show wraps with our annual Holiday Gift Guide for the movie lover in your life (or just you). Get ready to rock out with unique t-shirts, get ready to binge with some new streaming services, and break out some new games for family night. Plus more! It’s another relatively exciting episode of The First Run.